Old thread was locked as it exceeded 50 pages. Continue on here with your discussions. btw Lewy how many threads have we gone through already? I do believe this will be the 3rd or 4th version of this thread, Catracho. A testament to the good work you do here. Victor Andrade has been relegated to Santos U20 team as he has been exposing himself too much to media, even getting involved in politics. Has there ever been a World Cup host nation so opposed to hosting the World Cup? Patricia Amorim (Flamengo's president), Andrade (former Flamengo player and manager) and Marcos Braz (former Flamengo director) have all failed to get elected vereadores in Rio. Daniel Alves will be out for 3 weeks so he'll miss Brazil's games vs Iraq and Japan. Daniel Alves and Alex Sandro both removed from Brazil's squad but no replacements will be called up. Paulo Henrique Pereira Sena (14 years old), who had reportedly joined Spanish team Barcelona, has actually joined Barcelona from Jacarepaguá. There is a good chance Brazil play against Colombia in New Jersey (rather than in Doha) on November 14th. That's an interesting line up. I wish our opponent was stronger though. Iraq is weak but Japan is pretty strong. Friendly against Colombia confirmed by CBF. CBF also called up a squad to train for the South American u20 tournament. Players from abroad and those who belong to their team's senior squad weren't called it seems. Brazil U-20 should dominate and repeat what they did last cycle, especially with a lot of the U-20 kids getting quality playing time with their clubs, only problem will be the defense.. again. Piazon, Rafinha, Adryan, Ademilson.. but the only defender worthy of noting is Corinthian's Marquinhos. to follow up on Funken's post..
the game will be played at the MetLife stadium. The kick-off time is good too, 22:30, Brasília time. 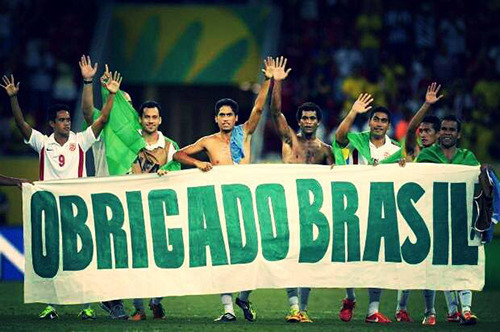 Brazil white wash Iraq.. whats new. Another pointless game. You can't evaluate players when your opponent is Iraq. Well, in other news..The second leg of the Superclásico will probably be played at the La Bombonera in Buenos Aires on November 21st. The return match has been rescheduled for November 21, 2012 - a Wednesday. It will take place at La Bombonera. 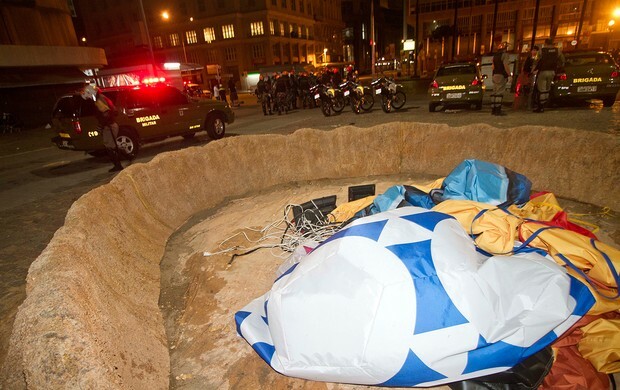 CBF demanded that the match take place in Argentina's capital. The problem, however, is that 11/21 is between the 36th and 37th rounds of the Campeonato Brasileiro of 2012 - a tournament with 38 rounds. Recent years have shown that the top four spots are hotly contested until the very end. While it seems Fluminense needs only stay consistent to guarantee the title, Grêmio, Atlético Mineiro, Vasco, and São Paulo (and who knows, Internacional perhaps) will all be fighting to ensure they finish between 2nd and 4th so they get a Libertadores 2013 spot. In addition, Palmeiras is fighting relegation, and if the Argentines cap Barcos, he'll be out and Palmeiras will lose of its best players to avoid going to the 2nd division. I am all for finishing what was started and few things would delight me more than to see Brazil's NT do a victory lap in an Argentine stadium, even if it is a relatively unimportant caça-níqueis like this two-game "cup." But the timing is absolutely awful. Given that this competition uses only domestic players, that the Campeonato Brasileiro's final matches will be played on December 2, and that the Argentine Torneio Inicial's last round occurs on December 9, couldn't this return match technically have been scheduled for the weekend of December 5th or even the Tuesday or Wednesday of the week of December 10-14? That way none of the teams in both leagues who will be competing for Libertadores berths would have players capped.